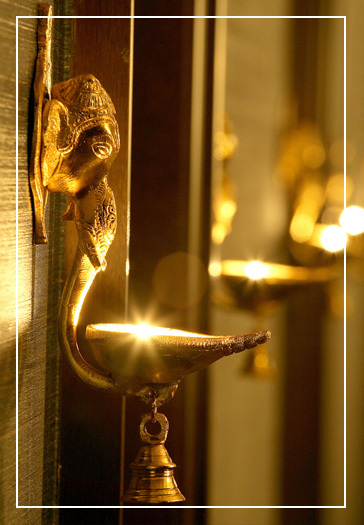 Step into the paradise where the harmony of body, mind, soul, and touch is achieved. We provide a wide range of CLASSIC MASSAGES, BAMBOO MASSAGE with a bamboo stick producing an excellent relaxing and calming effect, CHOCOLATE MASSAGE or HONEY MASSAGE. Massage favourably affects the physical and mental condition of a person, it is very beneficial for a number of health problems, injuries or stress. All massages are beneficial for muscular system, relieves strained muscles, and flabby muscles are tonified. They support blood and lymphatic circulation. partial 25 min. 28 € / pers. 22 € / pers. whole body 60 min. 45 € / pers. 36 € / pers. 60 min. 54 € / pers. 45 € / pers. CHOCOLATE MASSAGE 60 min. 54 € / pers. 45 € / pers. MASSAGE WITH PEELING 60 min. 54 € / pers. 43 € / pers. MASSAGE WITH PEELING AND WRAP 75 min. 65 € / pers. 52 € / pers. Sothys Paris, the world refined by sensuality and emotions, a legendary name which is the symbol of top quality and prestige of beauty salons and spa centres around the world. The same passion for the perfection and the same desire for absolute beauty has been revealed by men and women for 70 years. Sothys Paris, the highly specialized company has always been committed to working on intense research and innovation. It is the first among beauty experts. The core of all treatments is the patented massage Digi-Esthétique®, an exclusive massage technique that changes an ordinary treatment into an unforgettable sensory experience. 1. Perfection – French Family Company. 2. Nature –The source of inspiration is the forest. Jardins Sothys™ is the proof. 3. 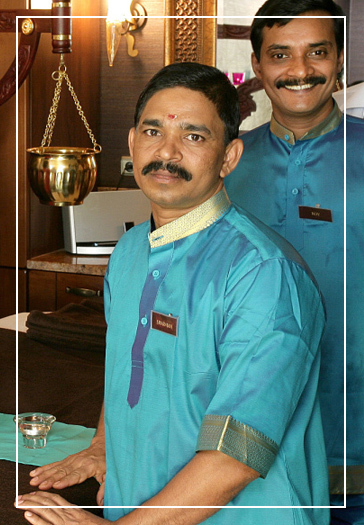 Experience –Unique treatments and ritual. The art which comes from Sothys. 4. Science –Efficiency, security, nature and sensuality are the core Sothys innovations. Other beauty or hairdressing services are provided upon request when we are notified at least 24 hours ahead. To have a sauna is one of the simplest ways how to get rid of physical and mental fatigue, improve your immunity, especially regain your health. It contributes to inner well-being and cleanses organism. 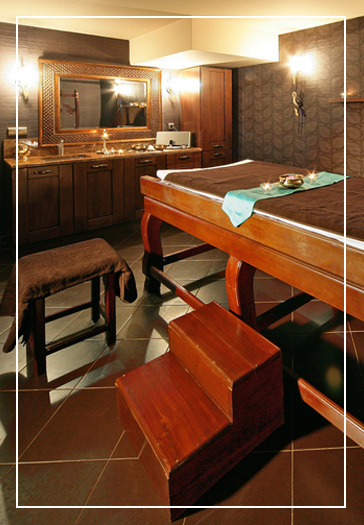 After sessions or exercise you can enjoy relaxation in a relaxation room with a cup of herbal tea. 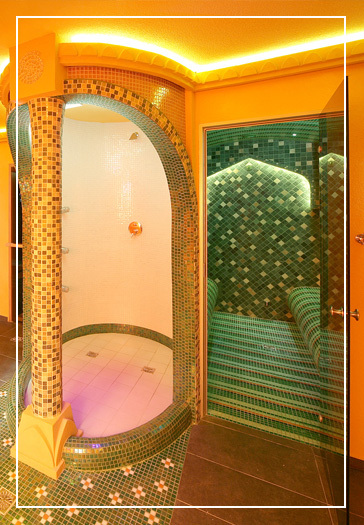 Full body herbal sauna in the steam box - applied ayurvedic medicine. Full body herbal sauna in the steam box. The gym at our hotel is a popular place for active relaxation. It is on you which form of exercise you chose; rowing machine, exercise bike, treadmill, stepper, or exercisers and dumb-bells. Regular exercise is beneficial to health and mental balance. Physical activity increases energy level and mental activity. Exercise generates happiness hormones, evokes good mood and relieves stress. Positive health effects are equally important while regular exercise reduces risk of cardiovascular diseases, high blood pressure and many other diseases. 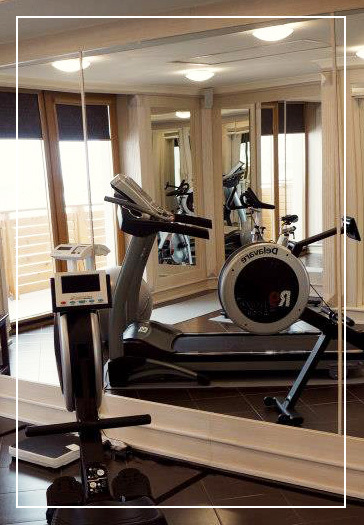 Your body and mind will be thankful, so do not hesitate to visit our hotel gym. Rower, bike, running belt, stepper (capacity 3 person) 60 min. 6 € / pers. 4 € / pers.